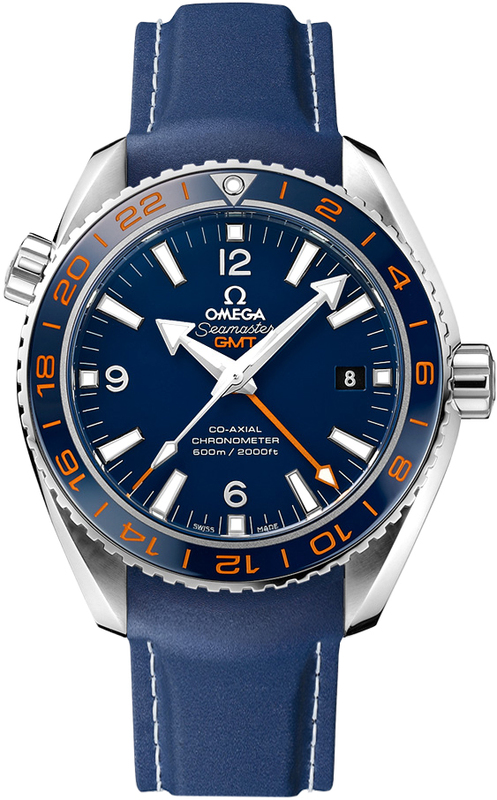 Omegas' rich maritime legacy is well known, inspiring Omega to produce this SPECIAL EDITION Seamaster Planet Ocean 600m GMT GoodPlanet, paying tribute to the GoodPlanet Foundation. The GoodPlanet Foundation promotes sustainable development & encourages each individual to act for the planet. 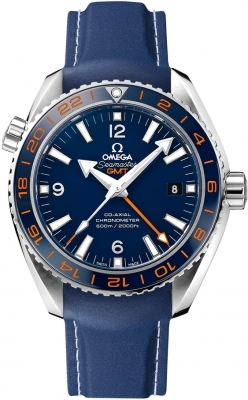 Omega has committed a portion of the proceeds from the sale of each of these watches to fully fund a project to preserve the mangroves & seagrasses om Southeast Asia & to educating the local population about the importance of conserving the natural resources. Blue ZrO2 ceramic filled bezel ring. Orange lacquered indexes & numbers. Luminous dot on a steel triangle backdrop marks the beginning point. 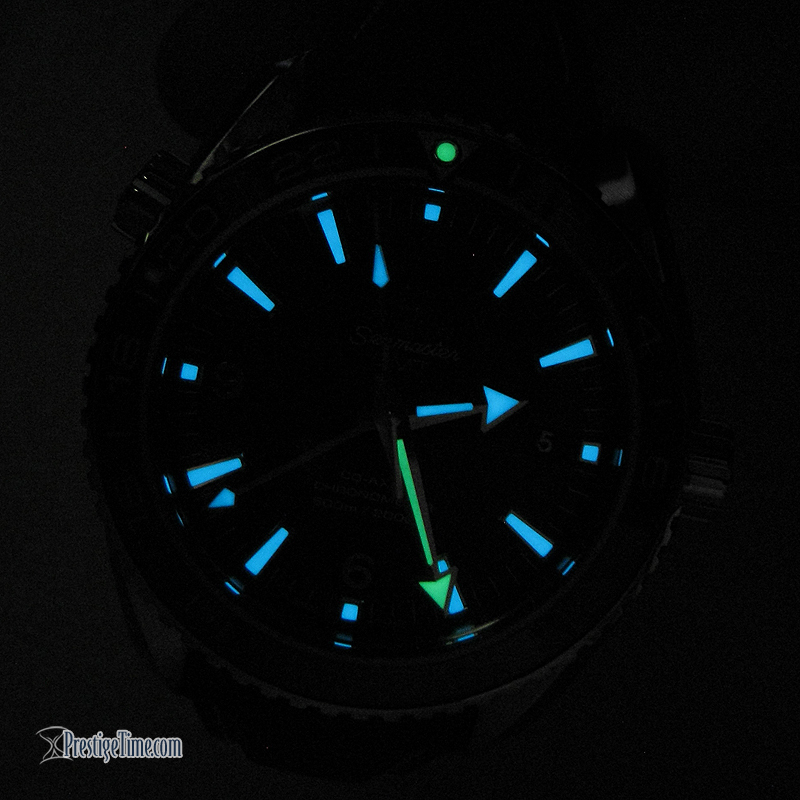 Applied polished steel index hour markers with luminescent fill which has a pale blue emission. Applied polished steel 12, 6 & 9 hour markers. 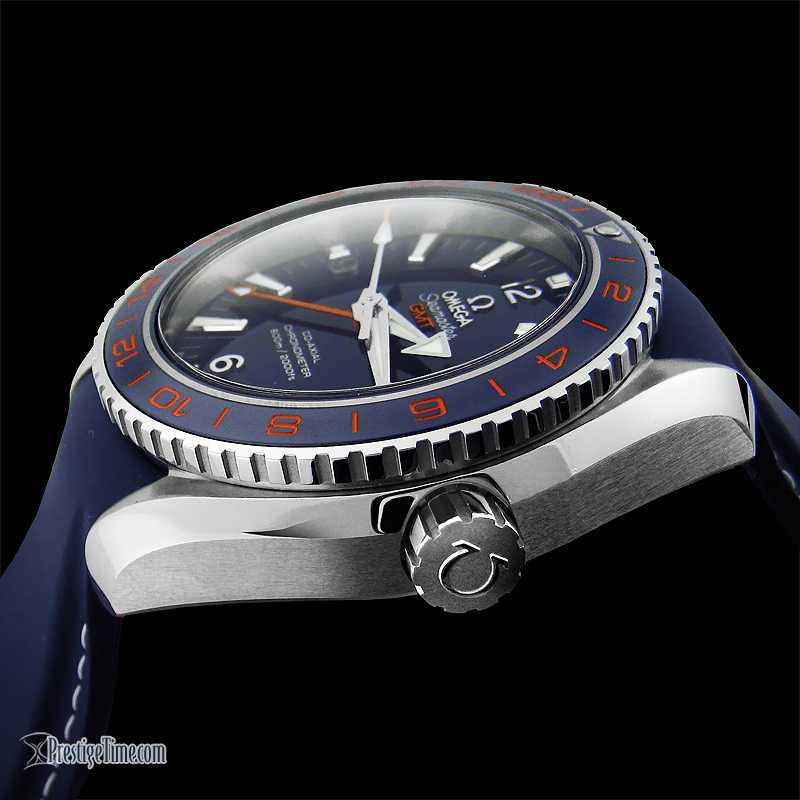 Polished steel hands: Hour & seconds hand with a pale blue colored emitting luminescent fill (pale blue emission). Minute hand with a green colored emitting luminescent fill, as does the 12 o'clock dot on the rotating bezel. Indicated by an Orange aluminum arrow-head hand with a luminous filled tip. 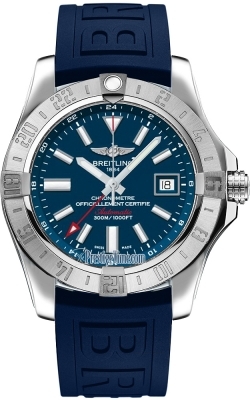 This hand points to the desired GMT timezone on the bezel. This hands makes one rotation in 24 hours. 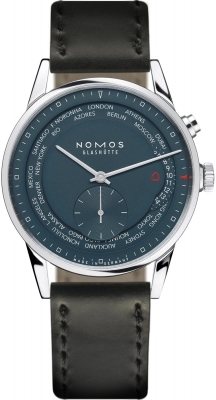 The addition time is indicated in a 24 hour mode on the bezel. 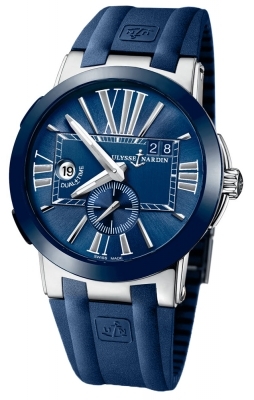 The reason for the 24 hour mode is to eliminate confusion between am/pm at the desired time-zone. 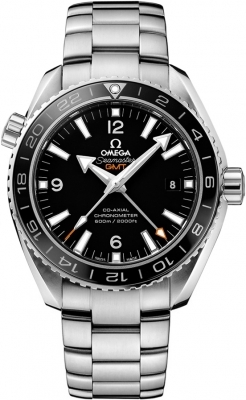 Omega caliber 8605, beats at 25,200 vph, contains 38 Jewels & has an approximate power reserve of 60 hours - thanks to its twin barrels mounted in series. 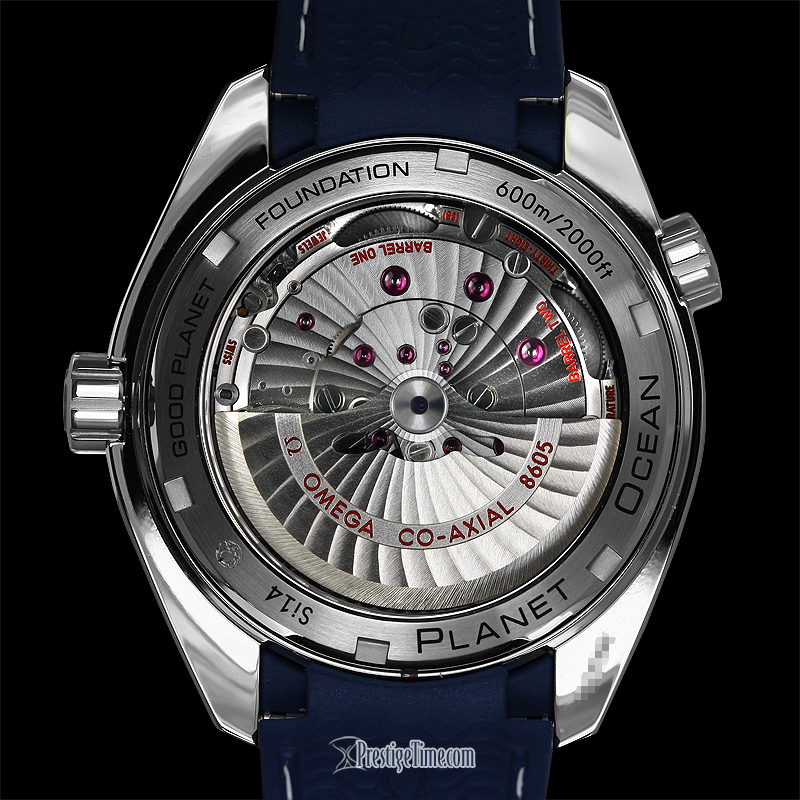 The rotor & visible bridges are rhodium plated & decorated with a unique "arabesque" wave design finish. Blackened screws & barrels & balance wheel.